Hard-working senior who ranks No. 4 all-time among Noles in the weight throw and No. 3 in the hammer…earned second-team All-ACC honors indoors and outdoors last season, contributing to FSU’s sweep of ACC titles…earned All-ACC Academic and USTFCCCA All-Academic honors for a second consecutive year. Indoor: Competed in five meets and advanced to the finals in the weight throw five times…delivered personal-best throw of 19.79m (64-11.25) in a runner-up finish at the Alex Wilson Invitational…followed up with a sixth-place finish at the ACC Indoor Championships (19.20m/63-0). Outdoor: Threw the hammer in seven meets, advancing to the finals five times…turned in a personal-best throw of 61.58m (202-0) at the Pepsi Florida Relays, finishing fourth to equal his season-best finish…turned in sixth-place finishes at the Tom Jones Memorial and the ACC Championship meets…advanced to the NCAA East Preliminary for the second consecutive season. Indoor – Competed in the weight throw at four meets. including the ACC Championships…placed second at both the Clemson Invitational and the Larry Wieczorek Invitational…moved up to No. 4 on FSU’s all-time weight throw list recording a personal-best of 19.24m (63-1.5) with his seventh-place finish at the ACC Championships; his first conference scoring performance. Outdoor – Participated in eight meets, and scored three individual wins…won the hammer at the USF Bulls Invitational, FSU Relays and Seminole Twilight…recorded a career-best mark of 61.11m (2006) for fifth at the ACC Championships, earning second-team All-ACC honors…that mark moved him to No. 3 on FSU’s all-time list…it also qualified him for his first NCAA East Preliminary meet appearance. Outdoor: Saw action in eight outdoor meets and managed a pair of individual wins in the hammer, while also competing in the discus three times…season-best of 56.42m (185-1) came at Seminole Invitational…eclipsed 55 meters in four meets, including the ACC Championships and his win at the Rafer Johnson-Jackie Joyner-Kersee Invitational (55.77)…also won UNF Twilight…breakthrough mark came at Florida Relays (56.31)…SB discus (44.97m/147-6) came at Jace LaCoste-Mississippi State Invitational. Indoor: Competed in three meets, exclusively in the weight throw…his personal-best came in the opening UAB Blazer Invitational (16.67m/54-8.25), which was good for runner-up showing. 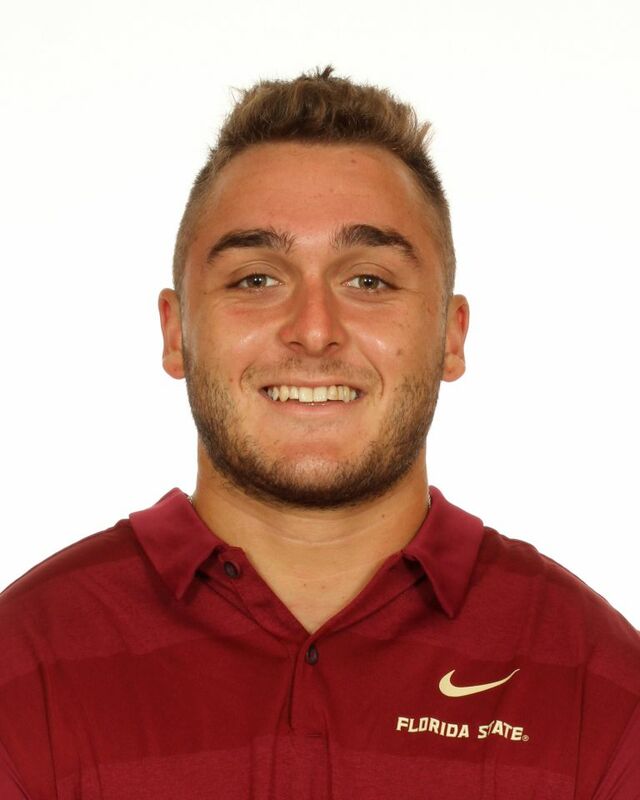 Son of Christine Tirado…attended Gulf Coast High School…finished third in the discus and fourth in the shot put at the 2014 3A FHSAA State Championships…was runner-up in the discus at ’14 FSU Relays…majoring in Political Science and Economics…attended Tallahassee Community College prior to FSU admission…was mentored in hammer by former Seminole standout Markindey Sineus…born March, 13, 1996.